Apple has long referred to the Apple TV as its hobby, because there isn't a large market for home theater content devices like there are for the other markets where Apple excels, such as personal computers and smartphones. Before the new Apple TV was announced and rumors of its switch to an A4 processor and iOS swirled, some expected the device would represent a major change for the product. As it stands right now, the out-of-the-box Apple TV experience is not revolutionary, and remains held back by limited access to content and the absence of still-to-come features like AirPlay. But make no mistake, the new, second-generation Apple TV is better than its predecessor in every single way. And in terms of ease of use and cost, it's a product in a class of its own that will likely continue Apple's sales superiority in the relatively small market. But despite its a major overhaul of the internal hardware, earning it the label of a second-generation device, the software inside the new Apple TV, for now, feels like more like baby steps than a major leap forward. The question we (and many others) would like to know the answer to is: When will the switch to the lightweight, app-heavy iOS operating system pay off for the Apple TV? If and when it does, this hobby could become a contender. 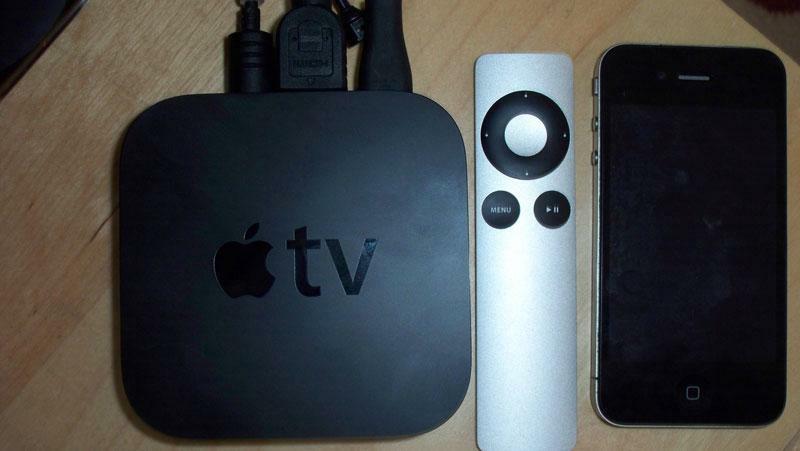 The most striking thing about the new Apple TV is its size. The device isn't much larger than a hockey puck, and will likely be the smallest addition to your home theater system. The hardware weighs in at 0.6 pounds and it just 0.9 inches tall, 3.9 inches wide and 3.9 inches deep. This small size is accomplished by an entirely new series of components inside, namely the removal of a full-fledged spinning hard drive to conserve space. Inside, the device relies on the same custom A4 processor that powers the iPhone 4, iPad and newest iPod touch. Apple's low-power processor makes for a major improvement in the Apple TV over its predecessor, which early on earned a reputation as a "hot plate" for its sometimes scorching temperatures. These modifications are a welcome change, particularly in an industry with oversized receivers and videogame consoles that have noisy, whirring fans and smoldering temperatures that sometimes make devices prone to failure, particularly when cramped in a tight home theater space. 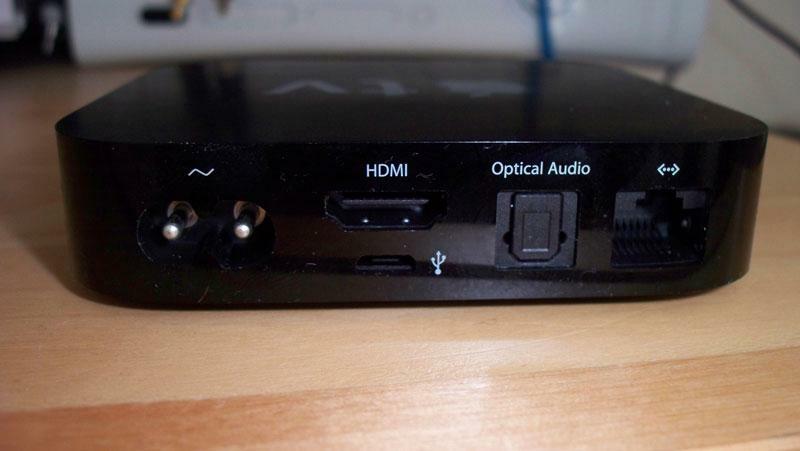 Connections on the Apple TV are HDMI for high-definition audio and video, as well as an optical audio out for those who have older receivers. As is the standard with just about every device that plugs in to your HDTV, the new Apple TV does not ship with an HDMI cable. No surprise here, but worth noting for those who want to hook up the device and don't have an extra cable available. What is included inside the box: an Apple Aluminum Remote, power cord (without an external power "brick" —a nice space saver) and an accompanying instruction manual. The device also has an Ethernet port and built-in Wi-Fi to connect to a user's iTunes library, as well as the iTunes Store to rent and purchase new content direct from the Internet. Apple has not advertised the available memory inside the new Apple TV because, unlike the previous generation device with a hard drive and plenty of storage, it is pitching the hardware as a streaming-centric set-top box. However, thanks to the hardware experts at iFixit, we now know that the device has 8GB of onboard storage, as well as 256MB of RAM. This is more than enough to buffer high-definition content without any hiccups. 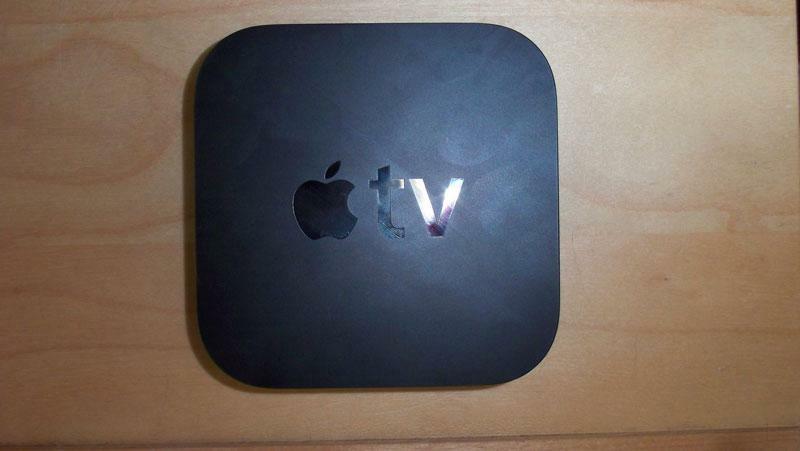 The lone weakness in the hardware capabilities of the new Apple TV its its high-definition output of just 720P. In the era of Blu-ray, 1080P is king and the de facto standard in new HDTV purchases, but the Apple TV cannot match that picture quality. On page 2 of 3: Software and setup; and Content.